The French company Veolia has signed an agreement with PFO Africa, an Ivorian company specialising in construction and public works. Their partnership begins with the construction of a drinking-water plant for the city of Abidjan. People in the city of Abidjan, Ivory Coast, will soon have better access to safe drinking water. To achieve this, a drinking-water plant will be built near Adzopé, a city located about 100 km from Abidjan. It is the first concrete project, which will be carried out thanks to the partnership that Veolia Côte d’Ivoire has just signed with PFO Africa, an Ivorian company specialised in construction and public works. The treated water in the plant will be pumped from the La Mé River. “This drinking water plant is a contract between PFO and the State of Ivory Coast, we are subcontractors on the design and assembly part. In this context, we studied several scenarios and the only river close enough to Abidjan is La Mé. 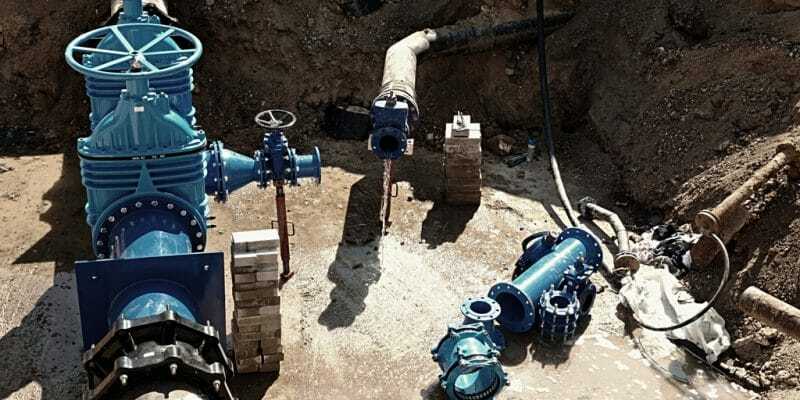 Its flows vary from 8 or 9 m3/s during low water periods to several dozen m3/s during the rainy season,” said Gilles Fleurade, Director of Veolia Côte d’Ivoire. The plant will be able to supply 240,000 m3 of drinking water per day. According to Léandre Assié, Director of the Roads Division at PFO Africa, the drinking water treatment plant will be one of the largest in West Africa, since it will have a production capacity representing one third of Côte d’Ivoire’s water consumption. This water will be used primarily for the consumption of the populations of the city of Abidjan. The cooperation between the two companies will not be limited to this one achievement. PFO Africa will also benefit from Veolia’s technical expertise for the rehabilitation of the Akouédo landfill in Abidjan, which still receives 1.2 million tonnes of household waste per year, although its closure was announced for July 2018. PFO Africa, whose headquarters are located in Abidjan, aims to offer, thanks to Veolia’s know-how, water management solutions to industrialists in the mining, agri-food and petroleum sectors. For its part, Veolia intends to take advantage of the agreement signed with its Ivorian partner to implement the AfricWaste initiative, and thus participate in the creation and structuring of a plastic waste recycling network (PET) in the Ivorian economic capital.